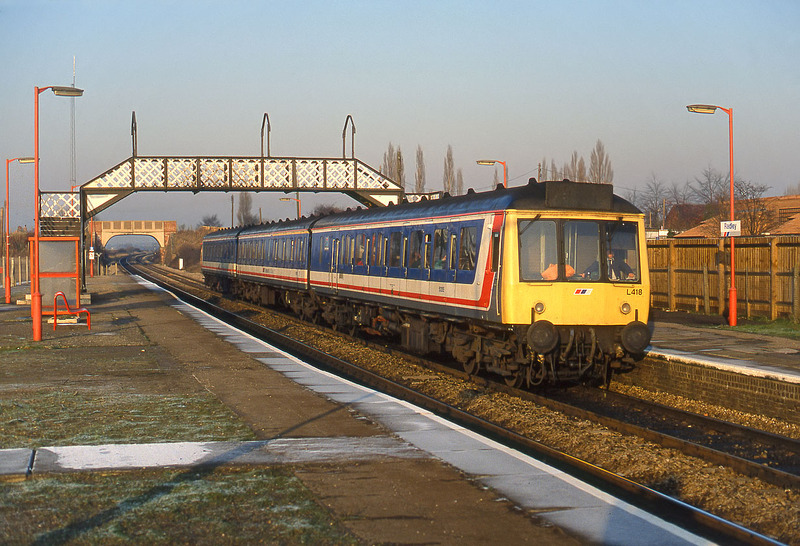 L418 (51355, 59507, & 51397) prepares to stop at Radley station with the 13:15 Banbury to Reading Network SouthEast service on 11 December 1991. At this time the station still retained its original GWR footbridge, although minus its canopy. In December 2007 a new footbridge was installed in a slightly different position, after an intervening period when an ugly temporary footbridge was in use.